Manchester United’s 1-0 win over Young Boys sees them progress in the Champions League. 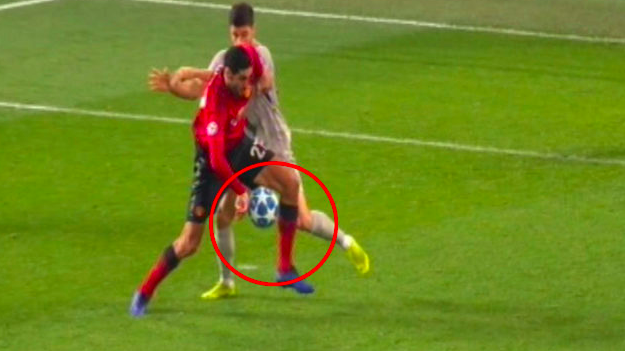 Their winning goal scored in stoppage time by Marouane Fellaini should have been ruled out for handball. When will VAR be used in big games? It cannot come soon enough. But did the media see the cheating? Marca, the Spanish newspaper, says Fellaini’s handball was blatant. His goal not only put United through to the next round but knocked Spain’s Valencia out. Manchester United march on. Valencia go into the Europa League. And Fellaini, well, he’s no Raheem Sterling.